Gina wrote in to share some thoughts on the secrets between Kara and Lena, Sam’s human side, and her disappointments about the Season 3 episode titled “Trinity”. Wow, what an episode! It felt so much more like a season finale than a backend episode so I’m curious as to where we truly go from here. It had plenty of action, nice emotional scenes, just enough humor, and hello to Alex’s new suit! First of all, I truly loved the tension between Lena and Supergirl. Lena, despite still being good and wanting to do the right thing, managed to still talk like a true Luthor. You have to give it to them: they know how to win an argument. At least with Lena, she really was just trying to help a friend. I say Kara “owning” up to Lena because it was pretty obvious Lena knows. And even if she only had a theory going into the episode, it should have been proven after going to the DEO. Someone as brilliant as Lena should easily put the pieces together. The true Trinity of this episode, I have to say, was Lena, Alex, and Supergirl. I would watch that trio in their own television series. Them going into the “Thought Forest” together was fun and intense all at once. 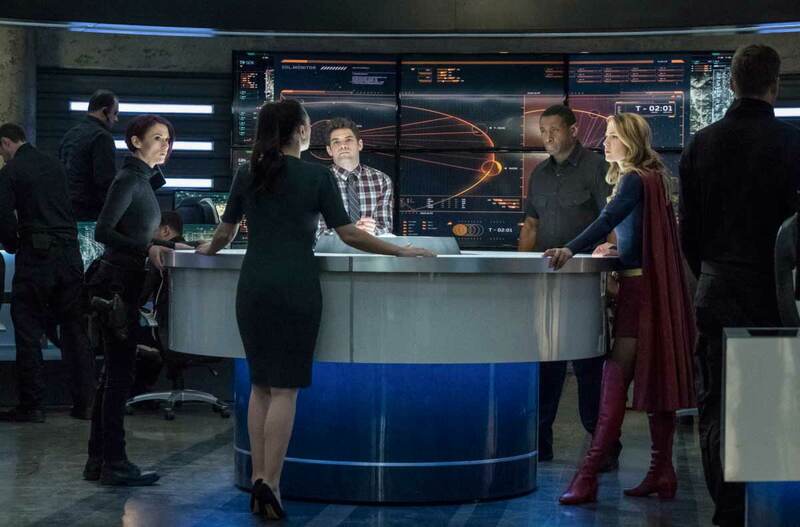 Alex immediately gathering sticks as weapons, Lena questioning it, Alex proving her wrong, and Kara complaining how tired she was encompassed this trio’s dynamic right away. And I loved it! I also very much feel so heartbroken fo what’s happening with Sam. The writers did a great job of building her human side and for us to get to know her and Ruby. They had to really get that down in order to make us feel for what’s happening with her now – the struggle and the danger she’s now putting Ruby in, not by her own devices, of course. Her trying to keep remembering Ruby’s name was pretty powerful, and it was nice to see Sam try so hard to let Julia keep afloat as well. And it worked – Julia was able to find herself long enough to defeat Pestilence. 1. Pestilence and Purity’s demise. I thought the Trinity would at least last one more episode. They built these Worldkillers up so much, you would think they would have lasted until the finale. Also, there might have been a bigger, more fleshed out story for Pestilence instead of just writing her off as ‘evil human with God-like powers’ now she’s dead. I was a little concerned they didn’t check on Grace’s dead body to make sure she was truly dead when they were in the Thought Forest. 2. Mon-El’s face. Specifically when Imra was excited that Pestilence was dead and she believed the future will be alright and her sister was alive again. His face was definitely not one that said, “Hey, wife. I’m coming back with you!” If Imra leaves him behind, then there’s no doubt it opens up a triangle of the cosmic kind! I also wonder if their future truly has changed because of Pestilence’s death or if it just created another timeline. 4. Kara Danvers. I think this has struck me as something disappointing throughout the last half of the season. The first half was all about how Kara Danvers was such a vital part of Supergirl. But when was the last time we saw anything of Kara Danvers outside of this (ugh) potential love triangle? (I guess it would have been “Legion of Superheroes”.) When Supergirl went to James in his office/home, I was like, “Hey, aren’t you supposed to ALSO be working?” Lena was in that bunker for 3 weeks so was Kara also working during that time? I hope somehow, when this all comes to head, they bring that theme back. Maybe it’s Kara who saves Sam and not Supergirl?